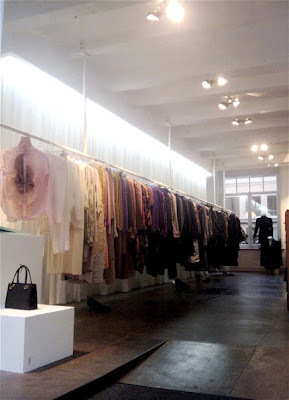 Let me introduce you to Kabinet, a high-end designer clothes store stocking new, pre-loved and vintage clothing on the Herenstraat. It's run by a lovely lady who's got a keen eye for collecting designer pieces. There was Dior, Mathijs, Oscar de la Renta, Yves Saint Lurrent...the lady got class. Worth a look. Sadly nothing will be making it from her Kabinet to mine today, but I'll be keeping my eye on the store. Kabinet. Herenstraat 13, Amsterdam. Open Monday to Saturday 11 – 6pm, Sunday 1pm – 6pm.